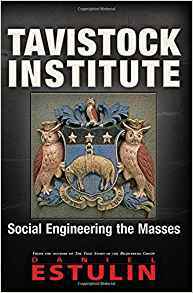 The saddest and most troubling aspect of this book for me, as a former CIA operations officer, was its documentation of the degree to which CIA, in active collaboration with universities funded by the Rockefellers and other elites, deliberately created the drug culture in the 1960’s, liberally dispending LSD and other drugs, and in particular, handing out LSD tabs at Woodstock. The author is compelling in suggesting that the Grateful Dead (perhaps unwitting) were a covert operation by the CIA intended to introduce and then proliferate the drug and consciousness culture, reducing by a considerable number those able to reach adulthood without losing a substantial portion of their brain cells. Previous articleWho Was Peter Herkos? The attack on the family, by the Deep State tricksters is obvious. Getting women into the workforce, reduced role of parenting, dumbing down education; all intentional. Feels like we are being assimulated by some creepy parasite, does it not? Excellent review of the of the multi faceted sinister corruption of all. I am alarmed and a bit saddened by your conclusion that localization not globalization is humanitys’ salvation. That humanity relies on the empowerment of “the individual, the family, the community and the sovereign state in that order”. I bet you love Bryan Stiel our new clone of Paul Ryan up here in Wisconsin’s First Congressional which is the most GOP Gerrymandered district in America. A critique of him by Randy Bryce a real working man who just happens to have a family supporting job because of the Iron workers union not because of Republican generosity. I agree with tRump on the idea of a wall however, let’s start by rebuilding that wall between the Church and the state as Jefferson postulated and Washington pontificated against foreign entanglements. Both these founding concepts of our Republic are in shambles as I write and tRumps only base of support are conservative Catholics and Evangelical Christian’s as both religious groups are insane and have proven to be unfit for government and these two groups are the GOP. We need secular and educated people in our institutions not the religious as they are so easily manipulated and mind controled. This would include that Jewish State of Israel who’s very foundation as a religious state is in violation of our core historical American values and let’s not forget our wonderful Saudis and that Wahabi kingdom. We need to return to the fundamental’s a separation of Church and State and an end to foreign entanglements. The current GOP? The problem in my opinion as we shall see California lead the way out of this mess as it’s the largest State and it will address these problems over time. Putin’s not the only one who shrugged off their EM psychotronics….the substrate of the brain creates what we call the “soul”….It is a good thing to remember when they try a “brute force” amperage attack….Cheers…The Concealed One…Honestly.. It will be simple: To turn people back to God, and to transform man’s mind back into God’s moral image. How? through his powerful gospel. Robert, I can’t wait to get my hands on the book! Your review and commentary I find very accurate and well intentioned. I hope you have success in leading the call to recapture of our beautiful god given minds and souls. I’ve personally heard Elites talk about “business is war” and “we are home now but when you walk out that door, it’s war”. I was married into an ‘Elite’ family but got out. Everything you say is correct!